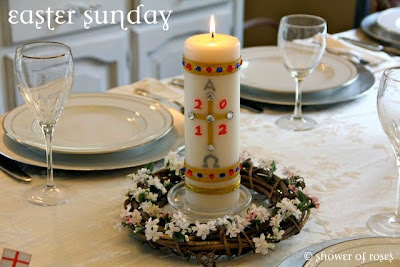 Catholic Cuisine: Celebrating Easter ~ Share your pictures! I hope you all had a very Happy Easter Sunday, and that you continue to have a blessed and joyous Easter Season! 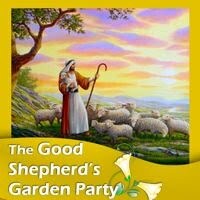 For those of you with children, a couple years ago Charlotte and I put together plans for celebrating the 50 days of Easter with a weekly Good Shepherd Garden Party for our children and would love for you to join us! The recipes and Bible readings for the first two weeks can be viewed and downloaded here and here, and you can also find all sorts of additional ideas by visiting everyone's past parties in the link-ups. Charlotte has also illustrated a set of 50 printable symbols, for anyone that wasn't able to order a Sticker Calendar or, like my children, would like to color their own set, in addition to using the daily stickers! Beginning next Monday (and continuing each Monday throughout the Easter season) we will post a link-up, here at Catholic Cuisine, for whoever would like to share the pictures from each week's Garden Party and/or other great feasts during the Easter season! As we begin this Easter season, we would love to see your Easter Sunday Celebrations! Please post your pictures (and/or favorite Easter recipes) and add the link to the link-up below. Love it. So excited to start posting again. Ditto what Lena wrote! I just love to see what everyone did and I always find myself smiling at all the joy! There was turkey, ham, cheesy potatoes, and asparagus. I made banana bread and decorated it with egg shaped candy. We were greeted with snow this Easter. We got in the books for the snowiest winter recorded (134.5 inches). 133.6 inches beat the record set during the winter of 1954-55. Our priest had prayed for snow on Holy Thursday to beat the record.